Build a double stackable dominator blaster with some more economical choices so you can carry more rounds per magazine. Powered with 1 set of Worker Gen3 Normal Metal Flywheel Cage(43.5mm) and 2 sets of OFP Aurora Cage (42.5mm) and Titan Hyperion(running at 3S), this setup can fling dart at an average FPS of 210-220FPS while not incurring too high stalling current. NOTE: You will need to mod the flywheel cage to fit(removing/cutting the dart guide). 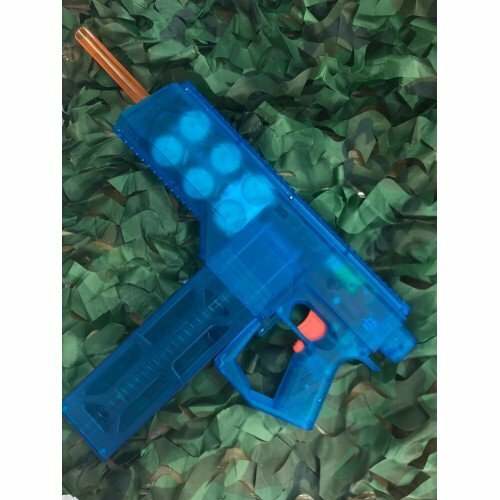 You will need to solder and wire this blaster with lipo battery connector. You will need to purchase your own battery connector(XT60 etc) and purchase a lipo battery as well. This package is not meant for beginner. Only for advance modder.